This is an exclusive workshop on Power Market in India on 24th & 25th April 2017 in New Delhi. Some of industry's experts will help you get deep insights on the subject and train you well for future the objective of the workshop is to provide theoretical knowledge and practical understanding of Energy and Power markets, Futures trading strategies and analysis techniques at the highest level. The Program offers a mix of classroom based instruction, case study and practical trading exercises where attendees will experience the valuable opportunity of trading real-time simulated equity markets through the use of industry strength proprietary trading software. Attendees will be taken through a rigorous Program of theoretical and practical education in Energy Futures trading and Energy and Power markets. The objective of the workshop is to provide theoretical knowledge and practical understanding of Energy and Power markets, Futures trading strategies and analysis techniques at the highest level. The Program offers a mix of classroom based instruction, case study and practical trading exercises where attendees will experience the valuable opportunity of trading real-time simulated equity markets through the use of industry strength proprietary trading software. Attendees will be taken through a rigorous Program of theoretical and practical education in Energy Futures trading and Energy and Power markets. Unlike most energy market courses that rely heavily on theory, this course is designed to be practical and completely up to date in its industry information. Such knowledge can be transferred from the classroom to the workplace seamlessly. 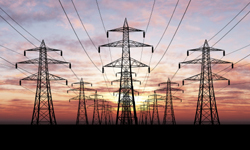 What is the regulatory framework for Power Market? What is Power Trading and its types? What fundamental factors drive the power markets? How do Power Exchanges functions? What are the bidding strategy and economics in power market? What s HHI & its relevance in power market? What is the trend of electricity traded through power exchanges in India? What is Open Access and its types? What is transmission pricing framework in India? What is the impact of transmission congestion on power market? Why are the power markets the most volatile of all markets? How are power market geared up to take on the aggressive RE addition targets? Will Open Access Registry solve the bottleneck in achieving Open Access in true spirit? Do we need Content and Carriage separation in Indian power sector? What is the status of Cross Border Trading among SAARC nation? Is it the right time to introduce Electricity futures and derivatives market? Do we need Fuel Exchanges? What are the international best practices for market development and RE integration?